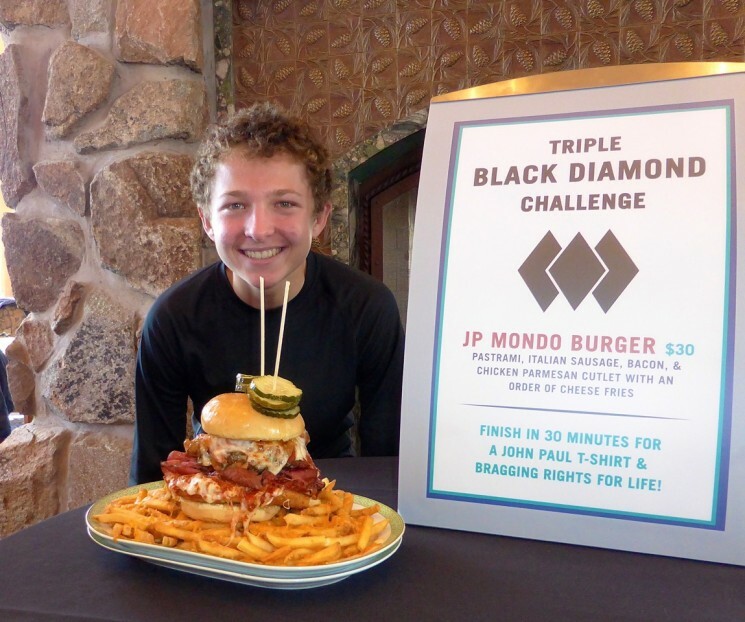 The Triple Black Diamond JP Mondo Burger is a 1/3 pound burger patty with pastrami, Italian sausage, bacon and a chicken parmesan cutlet with an order of cheese fries. 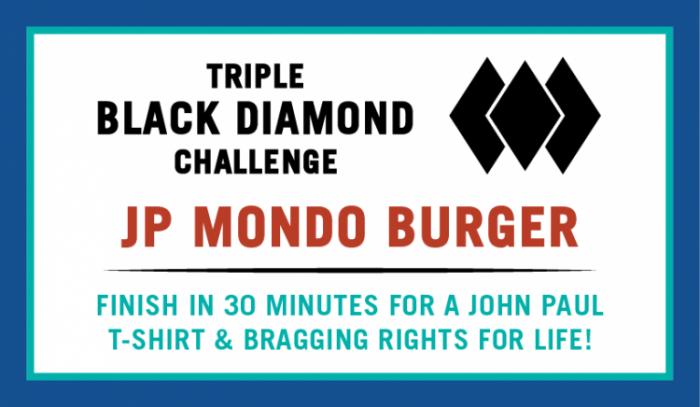 If you finish everything on the plate in under 30 minutes, you get a John Paul Mondo Burger Triple Black Diamond tshirt. If you break the record, you get the tshirt, your money back, AND CLAIMED CHAMPION! 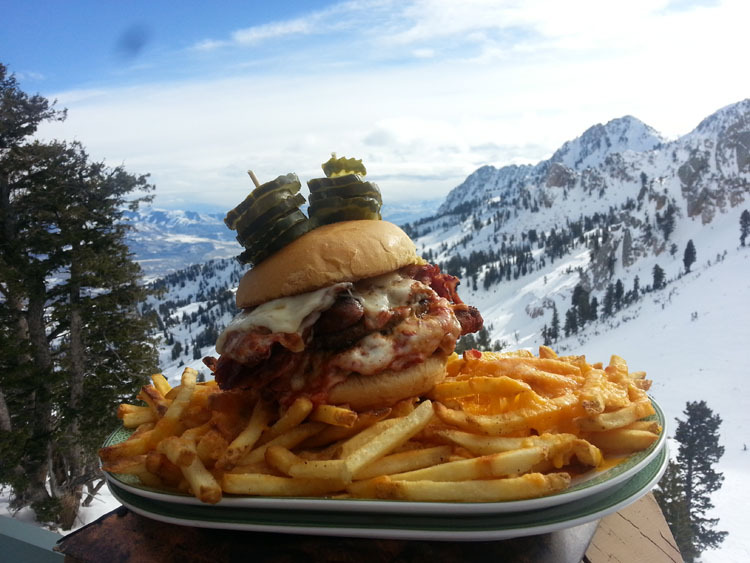 The burger costs $30 and is only available at John Paul Lodge starting on Sunday, February 15th. 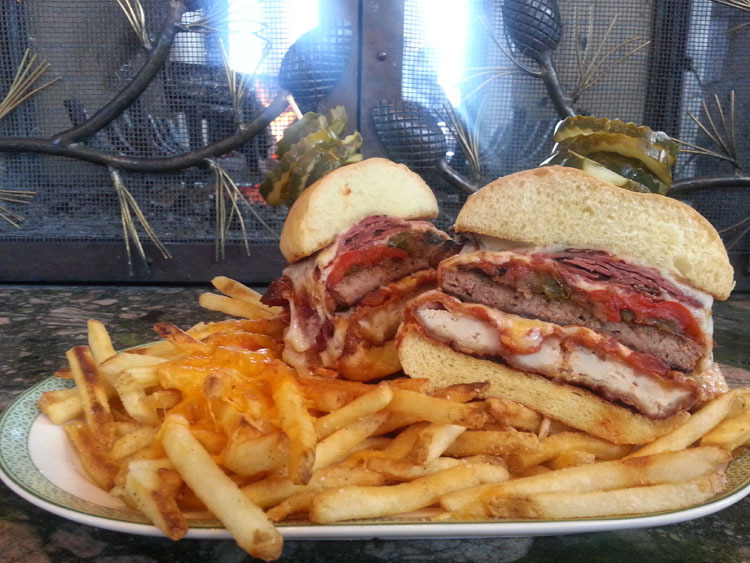 You must complete the challenge by yourself and finish everything on the plate, including all the fries. If you choose to attempt the challenge, you must let the cashier know when you are checking out. 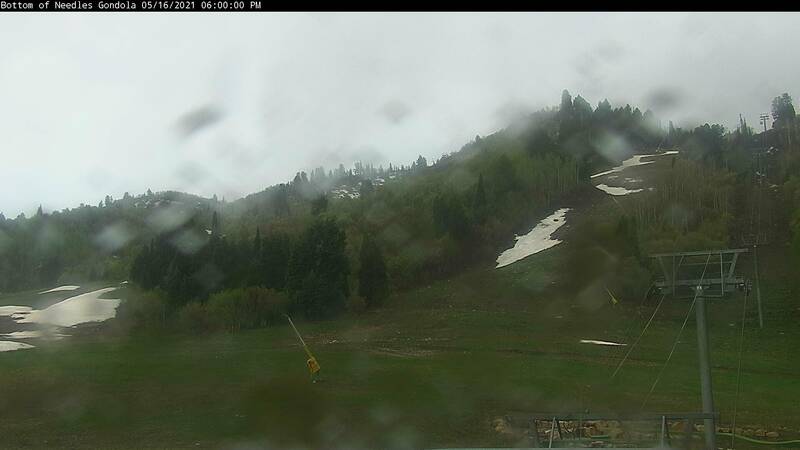 You can also just buy the burger for lunch, split it with 3 of your friends and enjoy an epically delicious meal. 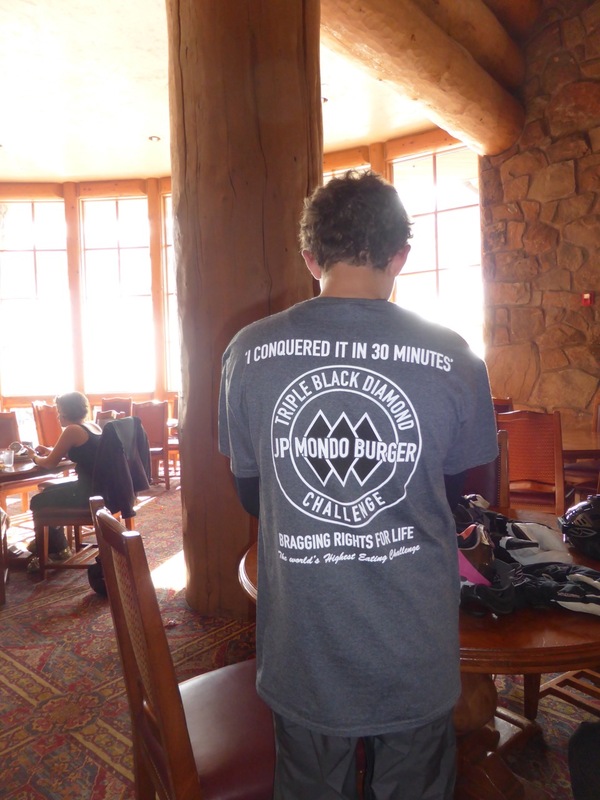 Our FIRST WINNER of the JP MONDO BURGER CHALLENGE completed the Mondo Burger in 29 minutes and 48 seconds! 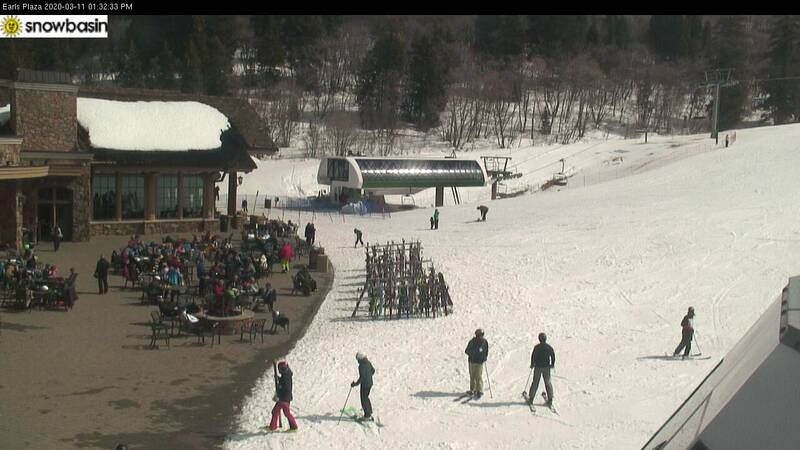 COngratulations Kyle!! Bio: Kyle Ettinger is 15 years old, 5’6” and 130 lbs. He is a 9th grader at Monta Vista High School in Cupertino, California. He is a club soccer player and an avid quad copter pilot who participates in drone combat events. 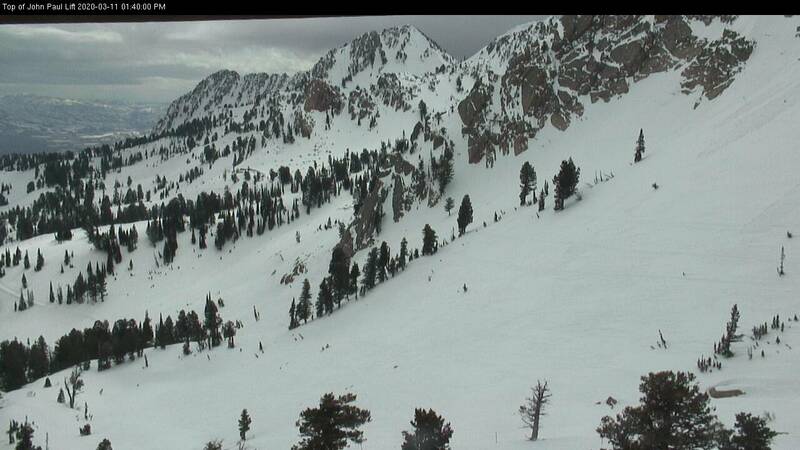 Kyle and his family have been coming to Snowbasin, our favorite resort, for Presidents week for the last six years. Celebrating with Staff after Completing the Challenge! Kyle has Bragging Rights for Life!